Sabine Mayer, born 1964 in Vienna, has gathered experience in the field of RTDI policy implementation since 1996. Her background is a PhD in technical sciences, she studied Urban and Regional Planning at the University of Technology (Vienna). Having had responsibility for projects related to the development of regional incubators at a forerunner organization of FFG (The Austrian Research Promotion Agency), at FFG she was programme manager for a funding programme, she developed RTDI funding schemes on behalf of the responsible Austrian federal ministries, and has experience in Framework programme projects (accompanying measures). She worked in the field of RTI policy evaluation 2008-2011 at the Austrian Institute for SME Research. Her current position is that of an expert at FFG´s Strategy Unit. She represents FFG in several associations, i.a. in the Taftie network. 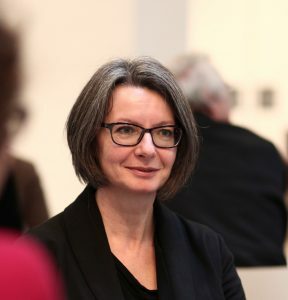 Sabine is a member of the Executive Board of the Austrian Platform for Research and Technology Policy Evaluation as well as a delegate to in the European Network of RTD Evaluators.